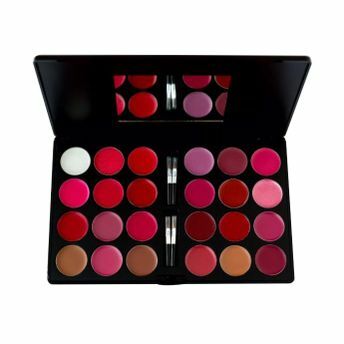 Miss Claire Professional Lip Color Palette has 24 beautiful shades of lip colour that make this an indispensable palette. It will see you through every possible make-up requirement you may have. Perfect your pout with a range of hues that will always make you look and feel your best. Explore the entire range of Lipstick available on Nykaa. Shop more Miss Claire products here.You can browse through the complete world of Miss Claire Lipstick .